Cracks or holes in your chimney or masonry usually mean that you require commercial brick repointing service because the mortar joints or brickwork have deteriorated. Brick repointing is necessary to repair eroding or crumbling mortar joints, correct defects, or to completely fill joints in newly laid masonry by placing mortar between joints in brickwork to improve water penetration resistance. For commercial brick repointing service in New York, call Chimney Repair NY at 1-516-279-1513 or request a Free Brick Repointing Estimate. Weathering and decay over time create voids in joints between masonry units allowing the undesirable penetration of water. Water entering through these voids causes significant damage to masonry from salt dissolution and deposition and freeze and thaw cycles. The most common means of water entry into brickwork is through cracked, debonded, or deteriorated mortar joints. Brick repointing deteriorated mortar joints is the most effective and permanent solution for decreasing water entry into brickwork. To prevent costlier chimney repairs call 1-516-279-1513 today for professional brick repointing service or request your Free Commercial Brick Repointing Quote. We do brick repointing for all building types and industries including commercial buildings, condos, Co-op buildings, apartment buildings, healthcare offices, hospitals, schools, banks, government buildings, industrial buildings, and commercial offices. 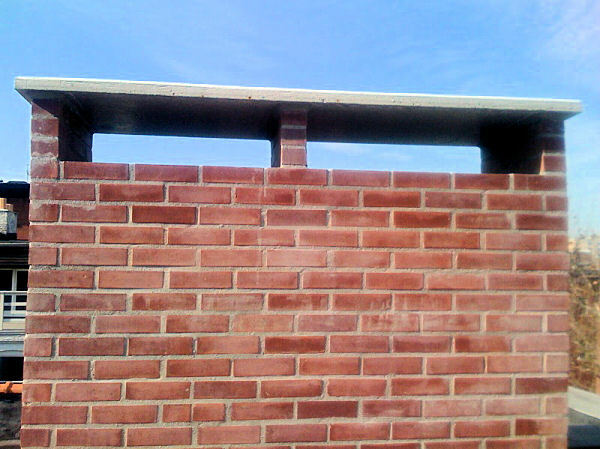 We take great care to ensure all brick repointing projects are done properly and compliant with building codes. Request your Free Commercial Brick Repointing Estimate or call 1-516-279-1513 today to schedule service.